“Get focused without the jitters!” Fused Focus makes this promise, claiming to help spark intense focus and energy with its 300 mg caffeine… just without the usual jittery side effects that come with 300 mg caffeine. How does that work? Apparently with theacrine, the caffeine-like ingredient heavily advertised by Fused Focus for its “Proven and Safe” boosts on mental performance. What do I think about this? I’ll get to all of that in the Fused Focus review — however, it’s worth stating here: I dig the caffeine + theacrine combo. It’s a solid nootropic approach to caffeinated brain boosts. But as far as Fused Focus as a whole goes as a nootropic supplement? I’m not so sure… but let’s read the review to get a better angle on this bad boy. Conclusion: Does Fused Focus Work? Manufactured by VitalFuse, Fused Focus is a PWO nootropic hybrid advertised to boost Focus, Energy, and Clarity. With an emphasis on mental performance, Fused Focus focuses more on immediate, short-term bursts of cognitive enhancement more so than long-term brain health protection. Tricky, tricky — Fused Focus implies that their bottles carry 30 servings, yet each container contains only 15 days’ worth of supplementation. Weakkkk. Directions: Take two vegetarian capsules once a day 30 minutes before your meal with a full glass of water or as directed by your healthcare professional. Before covering the ingredients one by one, I need to first call out Fused Focus for trying to pull a quick one on us. Read the serving size: 1 capsule. The servings per container? 30 capsules. Yet, the directions call for two vegetarian capsules. (Gelatin is not vegetarian??) Which means each bottle contains only 15 servings per container — not 30. The good news: the dosages listed on the Supplement Facts are actually double what’s listed per serving… Even so, c’mon, Fused Focus! With that out of the way, let’s get on with the ingredients. Bacopa Monnieri extract (20% bacoside) – Ayurvedic adaptogen and memory booster, Bacopa monnieri is one of the best natural, herbal nootropics for academic mental activity. Fused Focus smartly goes with the 20% bacosides extract …however, having said that, there are better % std. extracts for this herb. (However, having said THAT, Fused Focus does supply a fairly hefty dose of this stuff.) More on Bacopa Monnieri. Caffeine Anhydrous – Is caffeine a bona fide nootropic? Many will say, uhm, yea, DUH! whereas many others (including me) disqualify the drug for its potential to impair cognition at large enough dosages. Fused Focus supplies a pretty major dosage — up to 300 mg per 2 capsules — which puts it in the too much range for stimulant sensitive users. More on Caffeine. Theacrine (as TeaCrine®) – Theoretically, theacrine helps spread the release of caffeine’s effects over time, which help ameliorate the potential jittery side effects of Fused Focus’ 300 mg caffeine. Even so, these manufacturers would’ve done better by adding in some L-theanine as well, which reliably counteracts the negative effects of caffeine (while keeping the stimulant’s positive benefits). 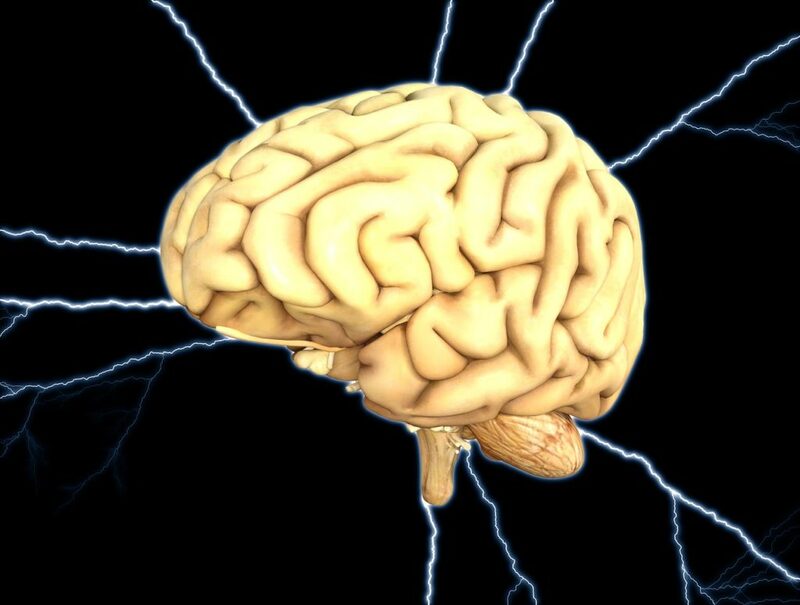 Alpha-GPC 20% – As far as cholinergic brain boosting goes, alpha-GPC goes pretty far (although, my preferred nootropic cholinergic is citicoline). By increasing the brain’s choline levels, alpha-GPC may provide additional raw material for neurotransmitter acetylcholine synthesis, thereby enhancing general cognition and memory. More on Alpha-GPC. Bilberry Fruit Powder – Bilberry is often supplemented for vision and eye health, yet bilberry may also supply brain healthy antioxidants. Not too sure what the pragmatic benefit of 35 mg bilberry powder is, though. Seems a little weak sauce, as opposed to standardized bilberry extract. Ginkgo Biloba (24% Ginkgo Flavone Glycosides) – Dating back to the days of the dinosaurs, Ginkgo is arguably the oldest herbal nootropic. As a mental performance enhancer, ginkgo increases cerebral circulation, potentially improving the flow of brain nourishing oxygen and nutrients to your neurons. This 24% is solid. More on Ginkgo Biloba. This is your brain on drugs — I mean pre-workout supplements. If you search “nootropics” on Amazon, you’ll find Fused Focus fairly high up on their search list. Yet, when you look into the supplement, the design reads more like a pre-workout (PWO) stack than a bona fide nootropic brain health supplement. More accurately, the design reads more like a caffeinated PWO stack. But if you think I’m about this write this sucker off, stay tuned: I’m not. As far as nootropic caffeine pills go, Fused Focus actually does enough to satisfy the “nootropic” end of this stimulating stack. For example, we’re seeing a large 600 mg Bacopa extract, a little alpha-GPC (which may assist with athletic performance as well), and ginkgo biloba extract, a natural brain energizer and circulation booster. 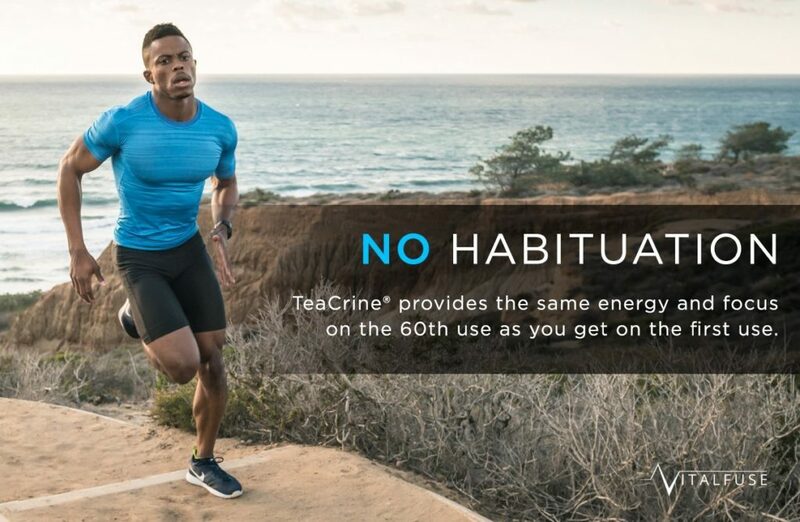 Not to mention the TeaCrine® Theacrine addition, which may help mitigate caffeine’s potential cognitive side effects. 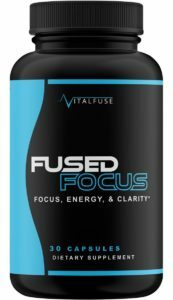 Would I supplement Fused Focus as a nootropic stack? Eh, not on its own. Fused Focus hits hard with 300 mg caffeine per serving, a sizable dose of stimulation for those looking for a sizable dose of stimulation. Theacrine may help spread the cognitive benefits of caffeine over time, so you’re not getting hit with jittery powers of caffeine all at once. Bacopa monnieri, alpha-GPC, and ginkgo do deliver a nootropic edge to this formula. Bacopa, in particular, may supply long-term memory and learning benefits. Caffeine isn’t the hardest stimulant to come by. In the nootropic world, caffeine is somewhat of a crutch for actual nootropic advancement. Fused Focus’ label suggests 30 servings per bottle when in reality there are only 15. Sort of a bogus, bummer move. Vegetarian capsules? With gelatin? What?? Technically, the price per serving is about $0.56. However, Fused Focus sneakily calls for two vegetarian capsules per serving in its directions while showing the supplement facts for a single capsule serving. The Supplement Facts label suggests there are 30 servings per bottle… nah, you’ll need to cut that number in half, if you’re following the directions. “Whether you are at work, at the gym, or juggling home life, you will have the energy and attitude to take on your busy day.” This line seems that indicate that Fused Focus is for the get-up-and-get-going type of workers and exercisers. I’d agree: Fused Focus’ heavy use of caffeine give the formula a quick, noticeable stimulant edge that you probably won’t enjoy if you’re the relax-and-chill type of thinker. You can buy Fused Focus through multiple online retailers, including Bolt Health Supplements and Amazon. Buying through Amazon is significantly cheaper than buying through the former option (at time of writing, of course). Fused Focus’ manufacturers don’t fully know what they’re doing. Fused Focus’ manufacturers do know what they’re doing, and they’re trying to pull a fast one on us. Either way, the outcome comes across as incompetent and irresponsible. Had Fused Focus wrapped their product with a more honest label, I’d perhaps be more accepting of their formula. But as it is now, all I’m thinking is that I could probably find a better caffeine supplement for more or less the same price. Even so, it’s not an awful supplement, so I won’t fault you for giving it a try.